Finding balance is a good thing. Yogis strive for balance between body and mind. Nations want a balance of power. A good life involves finding a balance between things like work and family and friends. You can’t ski or ride a bike when out of balance. 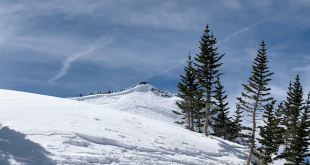 Between dealing with a low snow season and a recent major shift in the ski resort super pass world, Crested Butte seems to be heading a bit off balance. There seems a real possibility this season will be down from last year in terms of numbers and next season could suffer a similar fate. Snow, of course, matters and Lord knows last year’s January blizzard was out of whack (in a good way) and this entire season’s lack of snow is out of whack (in a bad way). While it might be convenient and pleasurable to hit the ski mountain and not have any lift lines, there isn’t a lot of balance there. A line means people and people mean economy. Visitors spend hard-earned dollars for lift tickets, rooms, ski rentals, meals at local restaurants, groceries, drinks and gas. That helps waiters, cleaners, shop owners and town workers who get their paychecks through sales tax. For us at the newspaper, the lodge, restaurant and bar owners spend a small portion of that money for advertising. I, for example, then get a paycheck and take some of that to the bars and restaurants and the circle keeps going round and round. If there are no lines with people, there is no economy. The balance is out of whack. So it is a bit disconcerting that the Rocky Mountain Super Pass is going away and while every other “cool ski resort” seems to be glomming on to some sort of Ikon or Epic super pass, Crested Butte Mountain Resort is sort of left waiting by the phone hoping for a date. 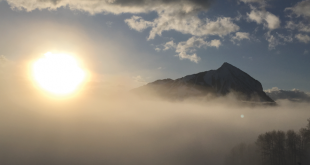 While Crested Butte prides itself on its uniqueness, it still needs to be social to be cool—it needs people. It needs people to stay vibrant and keep that economic circle spinning. 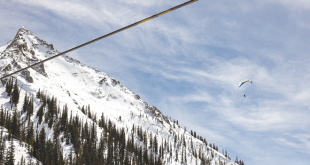 The beauty and balance of the Rocky Mountain Super Pass was that for the past couple of seasons, while I saw a lot of Front Rangers using them to try out the “Last Great Colorado Ski Town,” there weren’t so many that they overwhelmed the charm of the place. It felt in balance. You could see the lines start to grow Friday afternoon and start to shrink by Sunday once lunch was done. It was rare that the lines were snaking out the mazes and even après ski wasn’t out of control. People I encountered on the lift or at the bar with that pass were grateful to have the opportunity to try out Crested Butte and they all seemed to really like it here. Some said they’d come back, while others probably wouldn’t. Balance. So if that pass goes completely away next year and Crested Butte Mountain Resort doesn’t hook up with (date) another of the super mega passes, will it take away from the people in the balance equation? Probably. Those passes seem to be driving the ski industry at the moment and CBMR along with Monarch and Ski Cooper and Purgatory seem to be the odd ones out. While CBMR won’t release specific numbers on super pass scans, I’ve talked to enough local businesspeople to know that the Rocky Mountain Super Pass had a good impact getting people here and thus an impact on the economic bottom line. Add to that, the airline people mentioned at the last RTA meeting that this winter has been a “struggle” and airline seats aren’t filling up as much as hoped for, so the guarantee caps are likely to be paid to the airlines. That contributes to an equation falling out of balance. The possibility of fewer people driving here on top of fewer people flying here—whether it is because of low snow or a combination of other factors—and you will quickly see the balance start to get out of whack. That becomes slippery to all of us trying to make a living here. So what is the answer? Some introspection might be in order. Is our ski product competitive? When the Extremes are open, I’d say the hill is competitive with anyone. But that’s me and I like skiing Third Bowl and Funnel. I’m not sure we can honestly rank with family-oriented intermediate ski resorts that are easier to get to. We don’t have the celebrity panache of an Aspen or Telluride and that’s okay with me. There was a time when the après ski scene was rocking on the mountain (The Swiss, Jeremiah’s, Casey’s, Rafters, the Artichoke, the Black Bear) but most of those establishments were torn down and I think that plays a big part in the overall vibe of the place. It is missing that element of a vibrant ski resort. The ski experience is more than slopes and that part of the product can certainly be improved. When the late January temperature hit 45 degrees on Monday afternoon, I ran up and took a few runs. It was fun to have the place pretty much to a hundred people but that is not an economic balance. Feeling like I belong to the super exclusive Yellowstone Club is great for a minute when there is no line—but it’s not that great when we all need to be part of the balance. In a side note that relates to balance and ski areas—the passing of Warren Miller last week reminded many of us Midwesterners who came to the Rockies that his films made an impact on people. His message was funny, simple and clear—skiing was not easy but it sure was fun and something you did with family and friends. It was a lifestyle; a lifestyle of balance in the mountains that provided adventure and connection. He was right and I still appreciate that message.